The former Blue Moon Café, future home of a new wine bar. 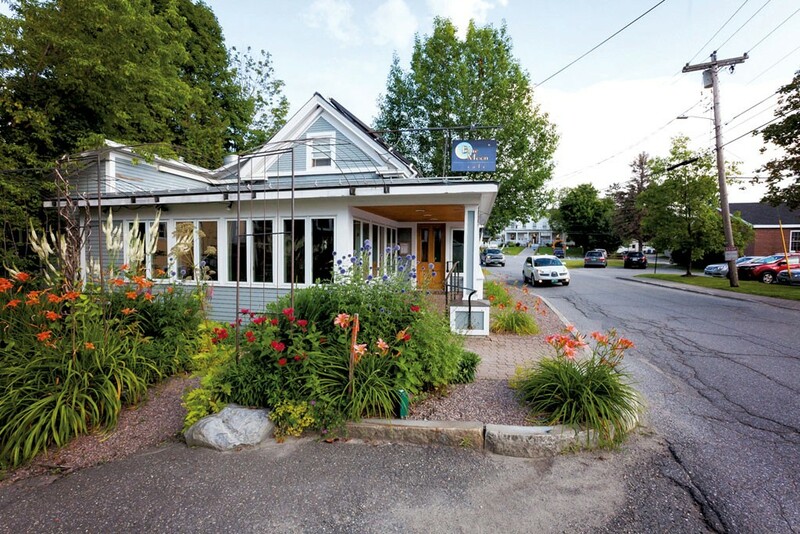 Last week, Cork Wine Bar & Market owner Danielle Nichols began construction on a second location inside the former Blue Moon Café space in Stowe. The new business will be similar to Cork's Waterbury outpost, with a retail shop up front and a bar in the back offering wines by the glass and light snacks. Nichols, who has been working on the real estate transaction and permitting for months, says she plans to keep her original branding intact but doesn't yet have a name for the new shop. "There's still a lot up in the air," she says. The new space comes outfitted with a full kitchen, and Nichols expects to offer somewhat more elaborate fare there than she does in Waterbury. "We're going to expand a little on the food, but we're not going to be a full restaurant," she says. "There are plenty of great places out there that I don't need to compete with." She'll augment Cork's standard cheese-and-charcuterie menu with simple, wine-friendly snacks such as mussels. Besides offering 15 to 20 different wines by the glass (a couple of those on draft), Nichols plans to devote a few tap lines to Vermont beers and ciders and to sell a small selection of local liquors. As in Waterbury, many of her wines will be small-batch natural varieties from family-owned wineries. Though "natural wine" is difficult to define — in the absence of set guidelines for its production, vintners work according to self-imposed standards — it is usually made with minimal human intervention during fermentation and little additional processing. The resulting vintages are often funkier and less predictable than "conventional" wines. In recent years, such wines have soared in popularity as food and beverage consumers have gravitated toward small-batch artisanal products and oenophiles have consistently sought out esoteric bottles with unusual backstories. Nichols will curate the list using the same value-driven approach she does in Waterbury, and she says the Stowe location will allow her to spread her portfolio — and the testing of new bottles — between two locations. As in Stowe, she will stock all bottles from the bar in the retail shop, so if patrons enjoy a particular sip, they can bring it home with them. The owner says the former café space is well suited to her needs. "The layout is pretty perfect for what we do," Nichols says, and will feature a cozy, firelit lounge with a modern feel. In the next week or so, she'll launch a Kickstarter campaign to help offset renovation costs, which include extensive updates to bring the building up to code. Nichols says she's shooting to open this fall, hopefully as early as September. "We definitely want to be up and running by foliage," she says. Meanwhile, she hastens to assure Cork regulars that her second shop will not replace the first: "Waterbury's not going away. We love Waterbury, and we're not going anywhere. Stowe's a completely different market." The original print version of this article was headlined "Growing Portfolio"